So what does Crossfy do and who’s behind this new product? Crossfy may be debuting, but its creators aren’t. Well known in the Brazilian startup community, its CEO Amure Pinho is also the founder of Sync Mobile. 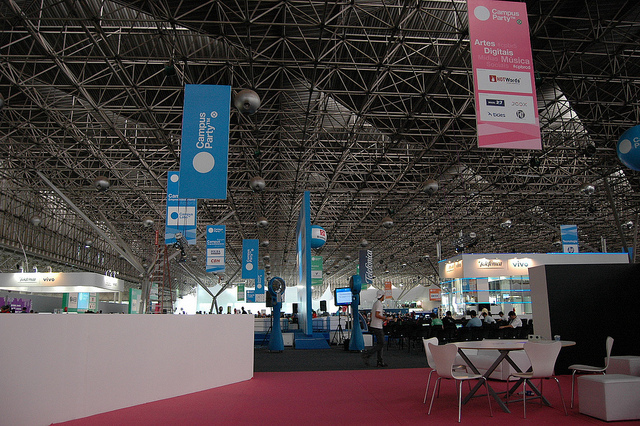 Based in Rio de Janeiro, the startup initially focused on developing apps and other mobile solutions. Yet, its scope is now much more ambitious, and includes creating interactive, AR-based experiences – for instance, it was responsible for what it describes as “the first newspaper in the world with an LCD screen,” in partnership with a Brazilian media group. Developed by Sync’s in-house team, Crossfy is based on the same vision, but takes it one step up – hence Sync’s decision to launch it as a standalone product, with its own name and branding. In the same way that Google Goggles lets you ‘search what you see’, Crossfy’s technology identifies printed ads and images to give access to associated digital content, from text and audio to video. According to the startup, its approach is based on visual computing concepts that let it recognize patterns in any printed image. In other words, Crossfy could do away with the need for QR codes and markers, which means it is quicker and more convenient to use, both for the readers and for the publishers. Publishers and newspapers are indeed Crossfy’s core target. As a matter of fact, Pinho says his new company already has deals in place with four clients, including two newspapers and one book. It doesn’t mean Crossfy is thinking small – the company hopes to distribute its products across the world, and already closed deals with representatives in Argentina, Australia and Russia. While Crossfy can be used to enhance print ads, this is only one scenario, Pinho points out. For readers to keep on using the system, publishers will have to promote engagement, and offer content that is fully relevant to their readers. “Nobody wants to test a technology and find out it’s only one more way to sell a specific product or service,” he says. This isn’t blind optimism; while newspapers are suffering greatly in the US, their circulation in Brazil has actually increased. While Crossfy’s success will also depend on the accuracy of its image recognition, this different perspective is an interesting plus when it comes to inventing the future of content consumption. What would it take to convince you to access additional content when reading a newspaper? Let us know in the comments.